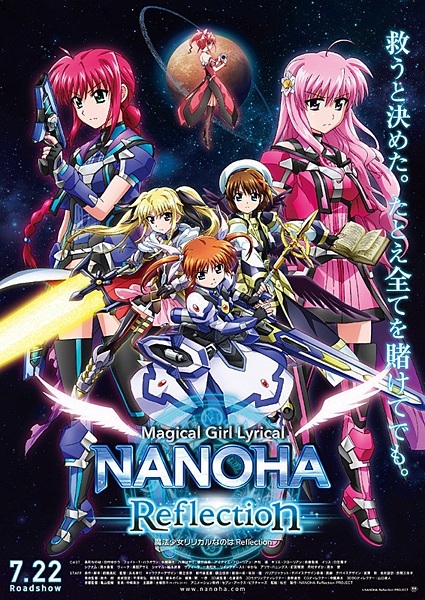 PennsylvAsia: Magical Girl Lyrical NANOHA Reflection (魔法少女リリカルなのは Reflection) in Pittsburgh, February 12 and 14. Magical Girl Lyrical NANOHA Reflection (魔法少女リリカルなのは Reflection) in Pittsburgh, February 12 and 14. The Planet Erutoria is dying by deterioration. Florian family, the husband, wife and their daughters Amitie and Kyrie, still remain in the planet in order to revive the planet.However father Grants Florian stuck down by a serious illness and their dream to regenerate the planet has collapsed. They go to see three girls live in Japan searching for the key to make their dream to regenerate the planet come true. Three girls’ names are “Nanoha Takamachi”, “Fate T Harlaown” and, “Hayate Yagami”. The Fateful encounter will lead to two worlds and fate of two planets. Tickets for the two 7:00 pm shows are available online from the Hollywood Theater's website. The theater is located at 1449 Potomac Ave. in Dormont (map), and is accessible by Pittsburgh's subway/LRT at a block south of Potomac Station.